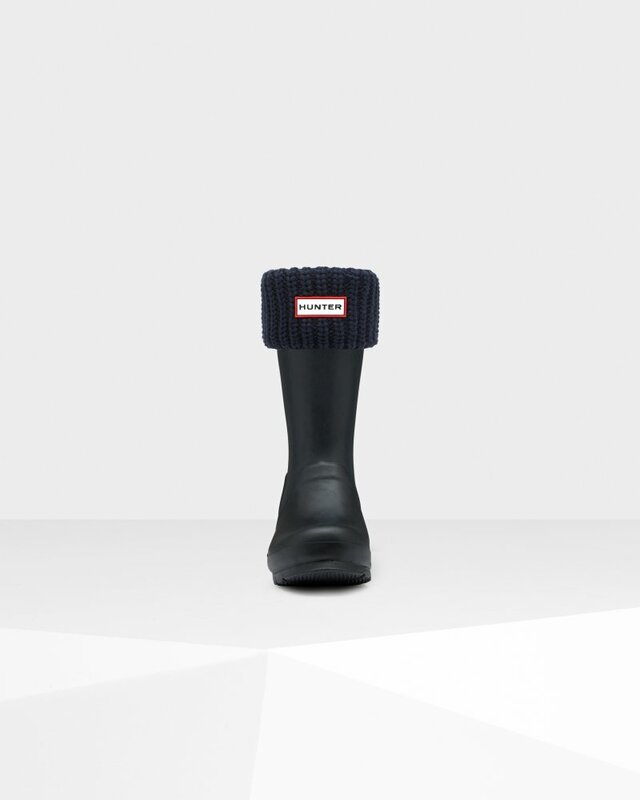 Personalise your Hunter Boots with these warm and snug boot socks. Designed to fit comfortably inside the Original Short Wellington Boot and enhance fit while adding comfort and warmth, these boot socks feature a cosy cardigan knit fold down cuff and Hunter Original logo. Rated 1 out of 5 by Yvet from Not what i expected The socks are faling down. That is not what expected. Rated 5 out of 5 by Agnieszka from boots are amazing! looking forward to wearing them and impress at the festival! really recommend!